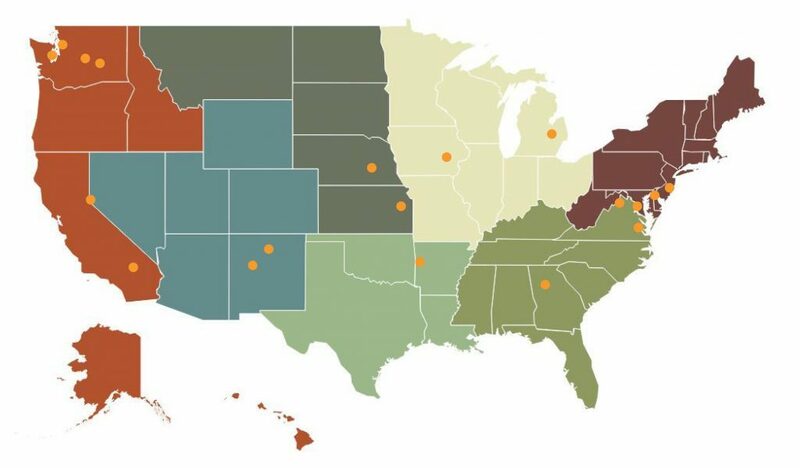 The National Association of Conservation Districts, in partnership with USDA’s Natural Resources Conservation Service, has awarded $1 million in grants to 19 conservation districts in 14 states to boost technical assistance capacity for urban agriculture and conservation projects. NACD established the Urban Agriculture Conservation Grants Initiative in 2016 to help conservation districts and their partners provide much needed technical assistance for agricultural conservation in urban areas with limited access to fresh and healthy foods. Since then, NACD has awarded a total of $3 million in grants to 61 conservation districts in 30 states through this initiative. The projects funded in the 2017 funding cycle will help urban farmers, community gardens, other local agricultural partnerships implement conservation practices that support local food production, provide opportunities for education and stewardship, and protect natural resources. In Iowa, the Johnson County Soil and Water Conservation District will implement recommended conservation practices and drainage infrastructure on the century-old Johnson County Poor Farm, in addition to coordinating soil tests, and conducting four on-farm soil health workshops. These efforts will help improve the soil quality and drainage at the Poor Farm, which will in turn help to increase food production and feed low-income families. In Washington state, the Kitsap Conservation District will establish a community garden in the City of Poulsbo with two objectives: (1) to provide produce for the Central Kitsap Food Bank and (2) to create community service and learning opportunities for female and juvenile offenders. The district will also develop and host educational workshops for county residents on irrigation techniques, fertilizer application, and other best management practices, and plans to assist food bank patrons in creating their own grocery gardens. The 19 conservation districts that will receive grants through the program in 2017 are indicated with a gold circle. Project descriptions for this funding cycle are available here.